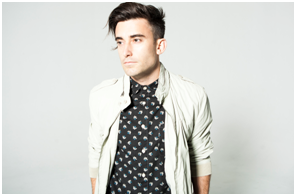 With a key verse of 1 John 3:1 – “See what great love the Father has lavished on us, that we should be called the Children of God,” Phil Wickham’s newest worship songs lavish those words upon us. Today, I share a review of this new offering. It is out of these experiences that this album was born. My teen boys did not know that I had received a new CD to review. I put it in the player in the car. It was on our third trip through town that the boys realized we were listening to new songs, and that they were not their regular pop radio station. (We do not have Christian Radio in our town.) There was only one song, I’m not sure the name, that the boys didn’t care for, and it is one of the songs that was my favorite. Slower. Pleading. If you are looking for some up beat music, this is it. If you want to be pulled through the words that will draw you to the love that the Father has for you – they are here. Feeling down? Need energy and a lift through musical worship? Phil Wickham does not disappoint. I received a copy of this CD to use for our review. I am quite thankful for FlyBy Promotions. This week a young man posted that due to finals, he had missed the opening on April 22nd. I’m going to give my copy to him for a graduation present. He is pretty excited. This entry was posted in flyby, Music, Propeller, Reviews and tagged #ChildrenOfGod #FlyBy. Bookmark the permalink. Thanks for the review! I am a fan of Wickham–his song Eden is till one of my favs of all time!